It’s summer and the surf is calling, but “beach read” doesn’t need to be code for mindless. We’re partnering with the folks at ELLE Magazine to bring you three summer reads that are fun AND feed your brain! 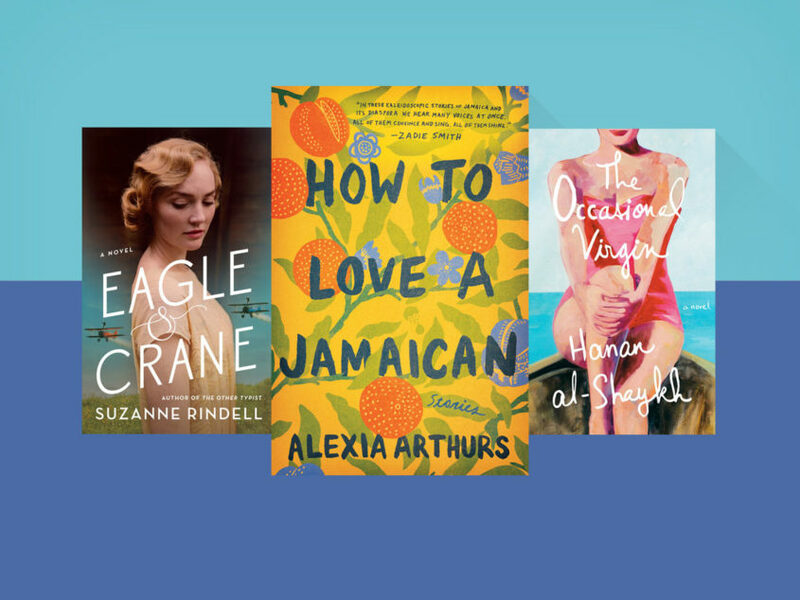 How to Love a Jamaican by Alexia Arthurs — Tenderness and cruelty, loyalty and betrayal, ambition and regret—Alexia Arthurs navigates these tensions to extraordinary effect in her debut collection of 11 stories about Jamaican immigrants and their families back home. The Occasional Virgin by Hanan al-Shaykh — On a sunny beach on the Italian Riviera, two thirty-something women relax by the sparkling sea. But their complicated pasts seep through to the idyllic present. Both women spent their childhoods in Lebanon—Yvonne raised in a Christian family, Huda in a Muslim one—and they now find themselves torn between the traditional worlds they were born into and the successful professional identities they’ve created. Eagle & Crane by Suzanne Rindell — Two young daredevil flyers confront ugly truths and family secrets during the U.S. internment of Japanese citizens during World War II, by turns an absorbing mystery and a fascinating exploration of race, family and loyalty.